When will be Fearless next episode air date? Is Fearless renewed or cancelled? Where to countdown Fearless air dates? Is Fearless worth watching? Emma Banville is a solicitor known for defending lost causes. She's investigating the killing of a schoolgirl in East Anglia and trying to free the man she thinks was wrongly convicted of the girl's murder. 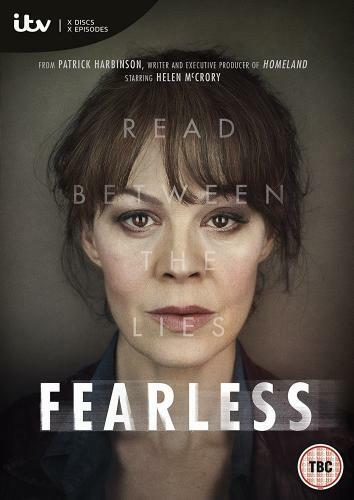 As she digs ever deeper into the case, she begins to sense powerful forces, in the police and the intelligence services at home and abroad, who want to stop her uncovering the truth. After the previous night's events, both of Emma's clients are in prison, leaving her with an empty house. Putting pressure on her, DCS Greenwood demands information from Emma about the missing SIM card from Miriam's phone, but Emma denies any knowledge. Desperate for Emma to help her get out, Miriam asks her to give the SIM card to Yusef's cousin, but harbouring concerns about Yusef and his intentions, Emma is reluctant.Meanwhile, Emma and Dominic meet Siobhan, a woman Tony Pullings photographed in 2003. With Siobhan telling Emma that Pullings hosted ‘parties' that Linda attended, Emma confronts Staines about the new revelations, but he refuses to help her track down Pullings. 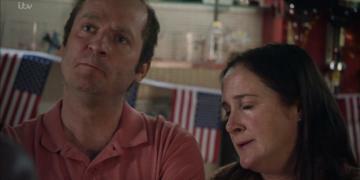 Noticing that Linda is wearing a US fighter tie-pin in the photos, Emma is convinced that there's an American connection to her death, so is determined to find Pullings to establish the link, with or without Staines' help.Following their fury that Emma wants to exhume Linda's body, the Simms family also visit MP Matthew Wild to seek his help. Will he find a way of obstructing the exhumation that is vital to Emma's case? As Kevin's trial continues, the forensics seem to be proving his innocence and leading to an acquittal after 14 years. However, when the prosecution delivers a counter argument, Emma's hopes of a ‘Not Guilty' verdict are dashed. With Heather and Sir Alastair keen to bring the case to a close, will Kevin accept a plea of manslaughter to secure his freedom? Meanwhile, Yusef sends word that he is in the UK and wants to meet with Emma. She travels to Birmingham to see him, tracked by Olivia Greenwood who is determined to uncover Yusef's whereabouts. 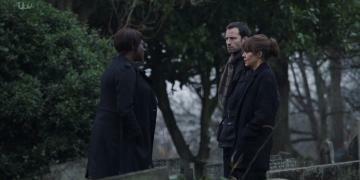 With Greenwood withholding vital information that Emma needs about Tony Pullings' whereabouts and Emma refusing to disclose Yusef's hiding place, the pair are at a stalemate. As Kevin fights for his life in hospital, Heather tells the US air force that no-one is to speak to Emma. However, the air force dislike spooks telling them what to do so they let Emma meet with Logan in secret, who tells her that he was in a relationship with Linda before her death. He reveals that the pair were introduced at the air base by her Uncle, Phil. Emma, Annie and Jason are left devastated when Kevin tragically loses his battle in hospital. Still determined to find the truth, Emma struggles to be heard but no-one is listening to the evidence she has. 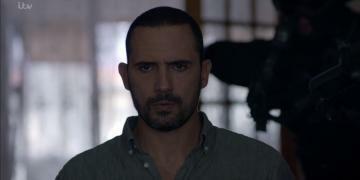 Matthew is worried about what Emma knows, though, but Heather reassures him that nothing connects her evidence to Linda's death. 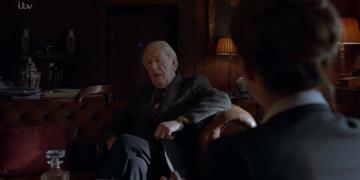 However, with pressure mounting, Kretchmer isn't so convinced and urges Heather to stay in the UK to fix the situation. Meanwhile, DCS Greenwood tracks down the mother of Rachel Leigh, Linda's friend and the last person known to see her alive. Visiting her in a nursing home in London, Emma hopes that she may be able to give her the final piece of the puzzle. Convinced that she's being followed and aware of a threat to her life, will Emma manage to finally uncover the truth? Fearless next episode air date provides TVMaze for you. EpisoDate.com is your TV show guide to Countdown Fearless Episode Air Dates and to stay in touch with Fearless next episode Air Date and your others favorite TV Shows. Add the shows you like to a "Watchlist" and let the site take it from there.